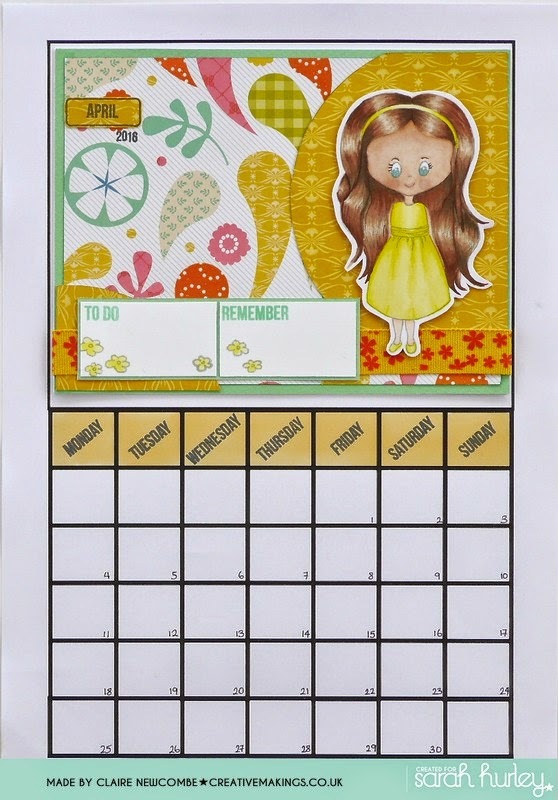 I'm (Claire) joining you today to share with you my next page in the calendar that I'm creating throughout this year. I stamped and coloured (with Promarker alcohol pens) one of Sarah's Charm street cuties during the week, so I knew I wanted to use her in this project. Searching through my papers I found these two designs supplied to us by Sarah through her collaborations with Die Cuts With a View (DCWV). 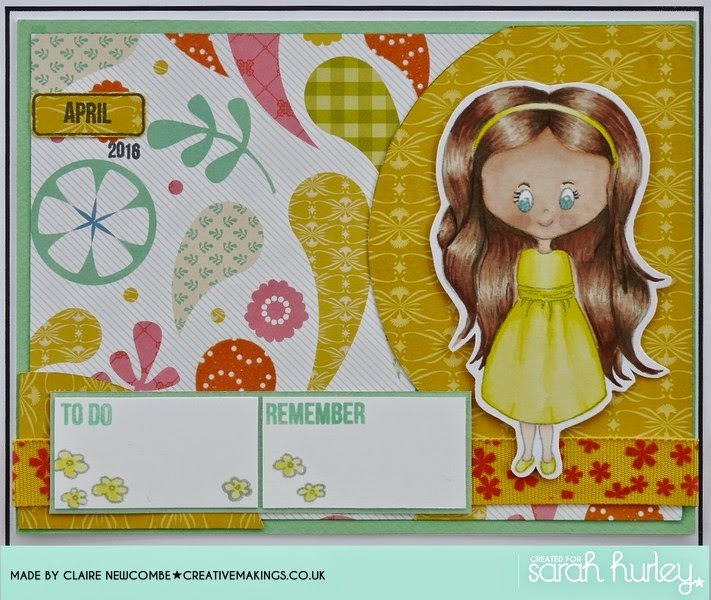 The colours matched perfectly, and are so vibrant and fun that I thought, worked just right for the month of April. 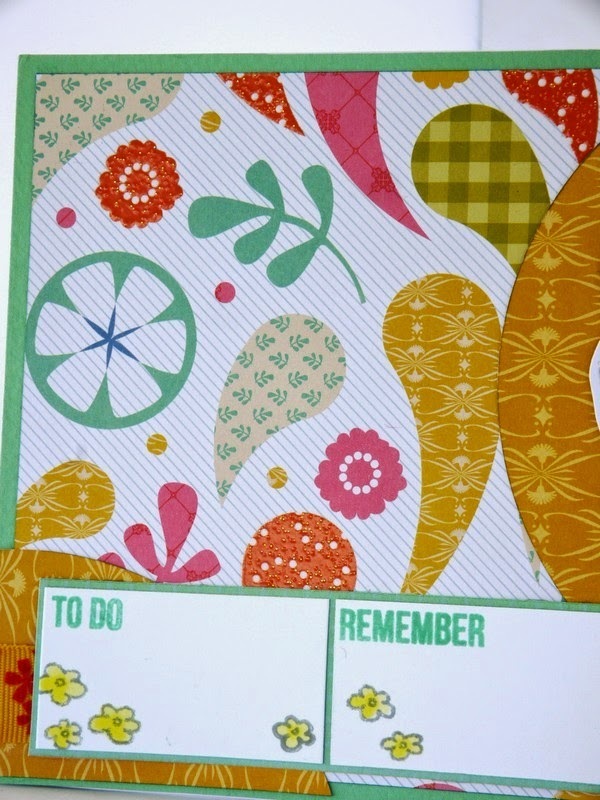 The papers are gorgeous and have lots of textures and different finishes within the design. Thank you again for dropping by, keep a look out soon for Jaine and Clare's pages for April. Super fun colours Claire, it is so cute!